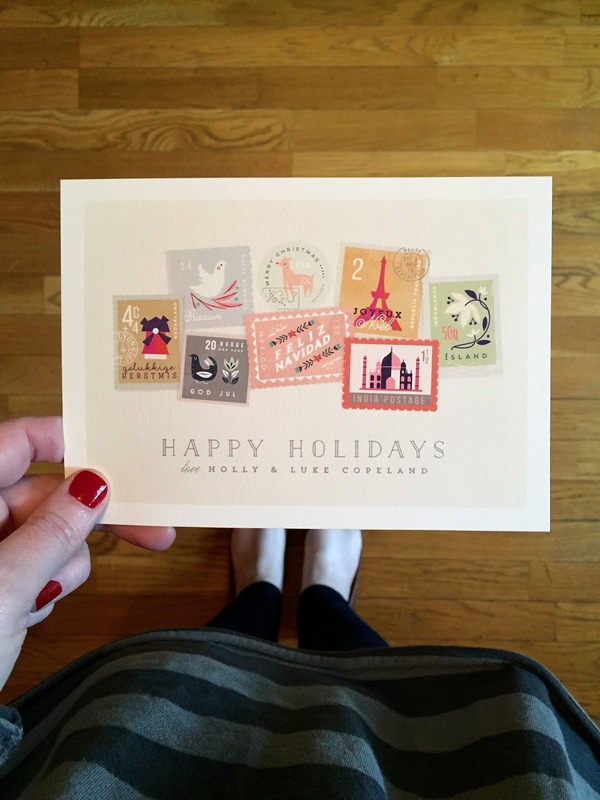 This year in honor of our BIG TRIP over the holidays, our holiday cards are travel themed. As soon as I saw the design on Minted's website, I just knew they'd make the perfect card for us this year. Plus, I was still able to add some personalization with a photo and message on the back of the card. Thank you, Minted for providing (by far) the best holiday card designs at affordable prices. As an added bonus, I was able to have all of our address printed on the envelopes for free! I love these! Great pick!